Just had a look at the service changes page on londonbusroutes.net and noticed the changes for the 205 & 436 cut backs have just disappeared. I also checked the routes on LVF and they appear to be running normal services. This makes me wonder how reliable the website is...and also makes me wonder if TfL had a plan for these changes in the first place. I personally find the website reliable in the most part as the information given is from near enough official sources. It's also possible TfL had changed their scheduling plans, which in itself is not unusual. A recent example of this is the planned west end curtailment of the 3 and 159, where I've been told the diversion signs have been dated from January 5th yet buses are still on full line of route. I was told by a very reliable source that a huge programme of route curtailments was due early in 2015. It is quite clear that major highway schemes are having a damaging impact on several routes and putting reliability measures in place, including curtailments, is no surprise. TfL won't allow services to collapse and operators are not prepared to sustain losses due to factors outside of their control. I believe Mr Munster has his own network of contacts but also looks to see if alternative schedules have been loaded to I-Bus. It is entirely feasible, due to changes in the scheduling of road works, that planned route changes have been delayed. The Aldgate works have slipped more than once resulting in I-Bus and stop information being incorrect months ago - I used the 67 expecting to be thrown off by Aldgate East as that's what Countdown said. 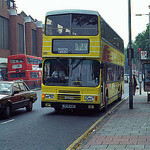 The reality was the bus stayed in service to Aldgate. TfL clearly tried to get the info right but works on the ground didn't run to schedule. From my understanding of things there are many sources of information about actual or potential changes and sifting it all and getting verified and knowing that things will be implemented is not an easy task but that's for TfL. It is also worth stating that Mr M produces his site voluntarily and it is vastly more reliable that TfL's own Service Change Document which is frequently out of date, inaccurate, missing info and riddled with spelling mistakes. I've just checked the TfL list - last update 10 December and only listing info to 3/1/15 so hopelessly and utterly out of date and useless. I see the curse of daft headway frequencies is spreading. Orpington's buses are now seemingly incapable of running at even intervals so people have to cope with nonsenses like 20-23 min headways. Sounds like runtime expansion coupled with a clockface timetable at an earlier point in the route. 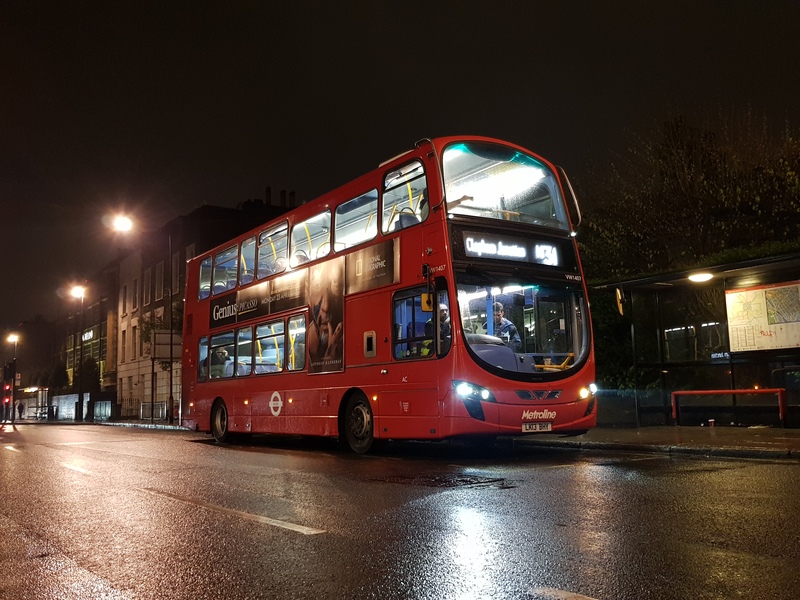 For some reason the 549 widened headway and N15 frequency improvements have not happened today and have vanished from the London Bus Routes list of changes. Any ideas what has happened? 53 being cut back to Lambeth North from Saturday apparently. This would seem to be because of Parliament Square roadworks but is particularly unhelpful in the light of the changes to Southeastern trains through London Bridge - much of the 53's catchment area has now lost its second link to Charing Cross in a week. The change is being advertised on Countdown screens on the buses - just seen something on twitter. The timing is very unfortunate though but I suspect we are going to have hundreds of such unfortunate changes over the next few years and people will have to lump it or divert to more expensive and overcrowded tube services to get around. You can't dig up roads, change gyratories and install cycle lanes without affecting bus services. 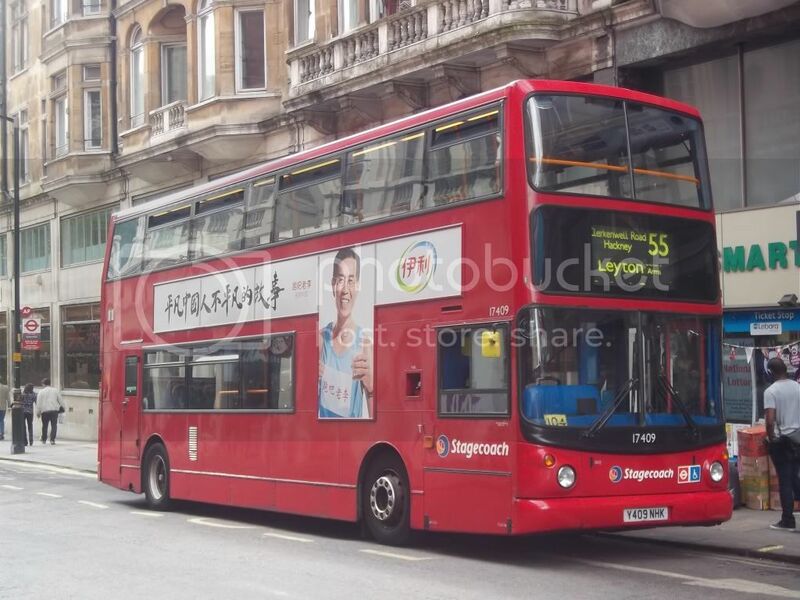 londonbusroutes.net is now showing that there will be a PVR increase (because of the work at Aldgate) on the Route 15 starting this Saturday 17th Jan with 19 buses from BW and 5 from WH, now what buses at WH have 15 on the blinds? (other than the RM's of course). I believe the E400s are also blinded but the side blinds are traditional style as in 15 Via ..... without all the short turns. I would guess the Scanias are the same. That's quite a surprise, as they must have quite a few routes on those blinds then. So I suppose the extra five buses could be anything then but a trident on the 15 would make a nice change. This is a desperately poor change. Do we know if this is permanent?